SAGE India Digest: What are India’s and China's commitments and initiatives to combat climate change? What are India’s and China's commitments and initiatives to combat climate change? Climate change has come to occupy an important space in international relations today. The recently concluded Conference of Parties (COP) 21 at Paris, France in December 2015 was a testament to the fact that issues hitherto relegated to ‘low politics’ in traditional international relations have become increasingly mainstream. India and China—two of the largest emitters today—share common concerns arising from climate change. Reports of the Intergovernmental Panel on Climate Change (IPCC) and several other studies have concluded that the two countries face imminent threat in the form of ecological degradation, food and water scarcity, agricultural shifts, health hazards, etc. due to climate change. In addition, India and China have shared national circumstances as developing countries. Both nations face serious third world challenges such as socio-economic development, poverty eradication, and health and food security concerns in their respective home fronts. Home to approximately one third of the global population, the developmental needs and aspirations of these countries are enormous and certainly bound to be further complicated by the effects of climate change. India and China have responded to the issue of climate change rather elaborately within their respective capacities and national circumstances. Invoking the principles of equity, historical responsibility and common but differentiated responsibilities, India and China have continuously fought for a fair and just international climate change deal. They have tirelessly argued that the primary responsibility of cleaning up the carbon mess must lie with the developed economies given their historical culpability. The carbon space must be equitably shared among all peoples of the planet so that growth and development is not confined to a certain section of the world populace alone. Thus, a joint statement issued by the two premiers during Narendra Modi’s China visit in May 2015 ‘urged the developed countries to raise their pre-2020 emission reduction targets and honour their commitment to provide US$100 billion per year by 2020 to developing countries’. India and China have emphatically stressed the importance of all these while taking cognizance of the fact that it is the responsibility of all to protect the planet, albeit according to one’s capacity. Although China and India are seen as major growing economies on an equal footing, their actual worth and potential are widely uneven. There are several differences in two countries’ respective economic and energy situations pivotal in the context of climate change. Several strategic issues remain between China and India that hamper the countries’ cooperative efforts in climate change. The boundary issue is a crucial and continuing bone of contention between the two. Despite the above stated problems in cooperation on climate change there remain several avenues for India and China to cooperate as they both attempt to tackle the problem. It is necessary for the two to find collective measures to deal with climate change given the fact that climate change has the potential to undermine both the countries’ larger security interests if it goes untamed for long. 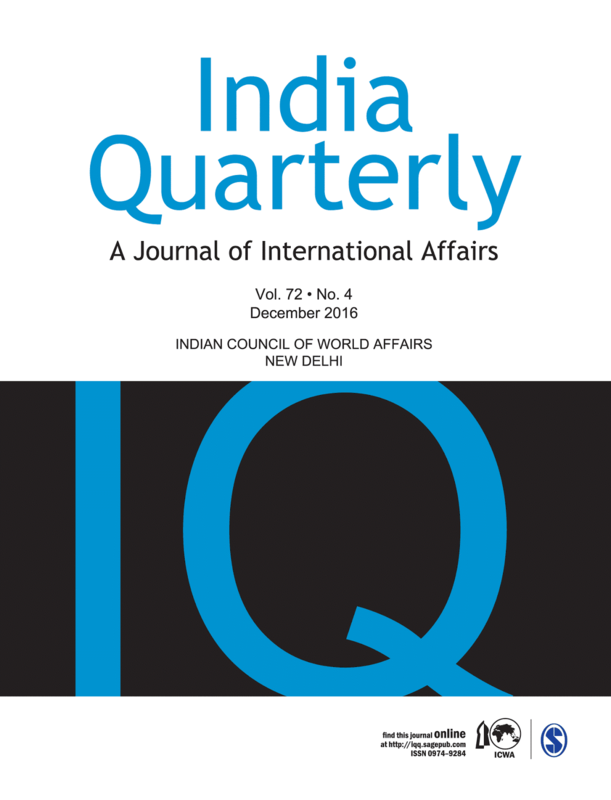 To Read more on India, China and Climate Cooperation from the journal 'India Quarterly', register here. Informative post! I really like and appreciate your work, thank you for sharing such a useful information about commitment management objectives, keep updating the information, hear i prefer some more information about jobs for your career hr jobs in hyderabad . Even though China and India are two of the fastest growing countries in the world right now, but their contribution to the climate change has just started. They should definitely try to keep it as minimal as possible but it should be understood that the real culprit behind the global warming are these big first world nations who exploited the resources at an insane rate to grow and develop. They should take some serious measures to fix the mess that they have created.